It was our first post-baby date night nearly five years ago. With time to spare before our dinner reservation, we were kicked back in the hip understuffed chairs of our favorite coffee shop -- a luxury I hadn't experienced since the little one started sucking all the chill out of my days. Except that I wasn't... relaxed. I was taking shallow breaths and squirming to find any position that didn't make me wince. I excused myself to the restroom and came back a few sweaty minutes later with the flesh colored sausage-casing shapewear in my purse. In those few minutes I made the calculation: I could look lumpy or I could look miserable. Happy lumpiness won! And my husband said he couldn't tell the difference. Let's be frank. I am a big, fat girl, and no article of shapewear is going to disguise that. 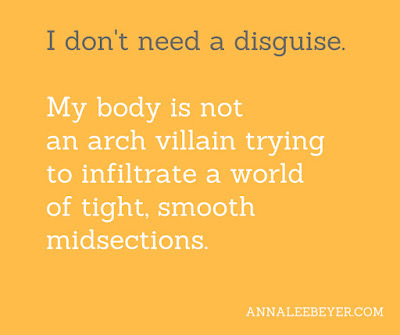 I don't actually need a disguise -- my body is not an arch villain trying to infiltrate a world of tight, smooth midsections. The early-2000s brought a surge in the popularity of modern shapewear that happened to coincide with with aging and rounding of my midsection. The first time I ever heard a woman openly discuss her shapewear was at a friend's wedding. This gorgeous blonde in her early 20s responded to a compliment by lifting the hem of her dress and declaring, "Spanx!" Never mind that the Spanx were not actually responsible for her great looks or charisma -- she was just passing along a new discovery during powder room girl chat. Thanks to that exchange, I never associated any stigma or shame with wearing shapewear. We make a hundred wardrobe and grooming choices every day, and most of those choices pivot on what will make us feel good or feel like we look our best. It's cool to be confident, I'm a fan! I started more than a decade ago collecting pieces that would smooth over my belly and shorts to wear under skirts. Chub rub is real in Texas, y'all. Because I prefer to wear skirts and dresses, I settled into a uniform with a hidden underlayer of tight tubes from my knees to my bra. Sure, it took a little extra effort to get in and out of my clothes, but I felt naked without the sensation of that squeezing layer holding me together. Then pregnancy brought its shapewear analog -- the belly band. First I needed it to hold my unbuttoned pants up, and then I need it to relieve some of the pressure in my back. After my daughter was born, I still needed it to hold up the maternity pants I continued to wear for about six months. I'm not ashamed, comfort was a priority. Then, date night came. I wanted to be pretty. I wanted to wear a dress and shoes that were entirely impractical for my new normal. I wanted to wear jewelry because in these few hours there was no danger of it being ripped off by tiny hands. But much, much more than that, I wanted to relax, eat something fancy, and hang out with my husband. That last bit, the important part? I couldn't do it with my tummy in a vice. When I walked back from the bathroom with my "underwear" in my purse, I felt like I was doing something subversive. 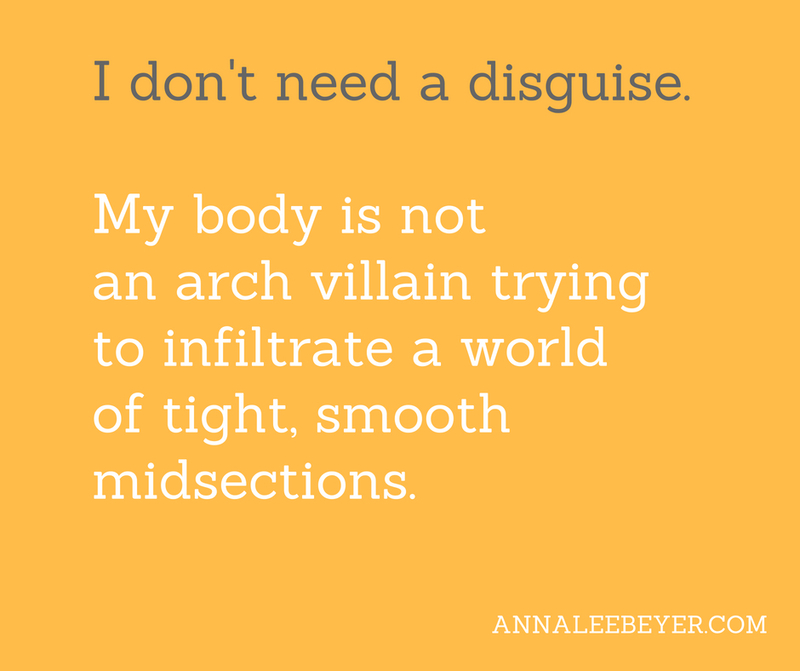 I was stripped down, setting my jiggle free for any strange eyes I might pass. I am 100 percent sure no one noticed, and once I could breathe again, I didn't think about it for the rest of the night. A few times in the years since I have looked in the mirror and wondered if some piece of clothing might look better with a "shaping" layer underneath. But the bottom line is my life requires too much deep breathing at this point. I don't know who took me to the pool (Mom? Grammaw? ); I don't know if I wore a seatbelt in the backseat; I don't know if anyone ever put sunscreen on me. But I know what the combination of pool water, cheese crackers, and 7-Up smells like -- a sense memory 35 years old. 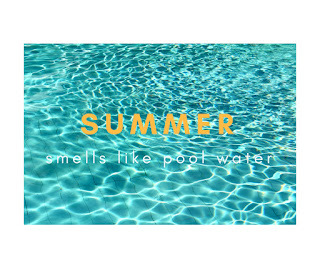 Early 1990s, summer smells like pool water, cigarette smoke, and NO-AD tanning lotion in Stacey's backyard. After the sun set, it smelled like plumeria lotion on hot tanned skin and B.C. Moore's parking lot. I never got close enough to a boy to smell Drakkar Noir. It's not you, it's us. I don't think we're a good match. Nearly ten years ago, a doctor told me diabetes would kill me, it was just a matter of how soon. I couldn't see the benefit of his ugly, callous prediction. I couldn't see the benefit of being locked into a medical relationship with someone who saw me as a hopeless expiration date. I decided even with long waits and insurance hurdles, it would always be worth it to find doctors who are supportive and try to understand me as a person.